Svelte coupe looks with large hatchback practicality. Plenty of space and headroom in the back. Low emissions from 2.0 TDI 170. Starting to feel dated. Firm ride on S line models. Oil consumption problem with 2.0 TSI. 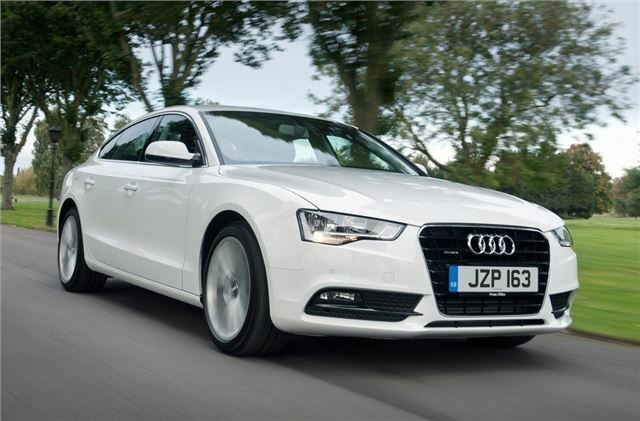 Launched in 2009, the A5 Sportback has established itself as the elder statesmen of the Audi range and has plenty of executive appeal for those who want an attractive and spacious coupe. 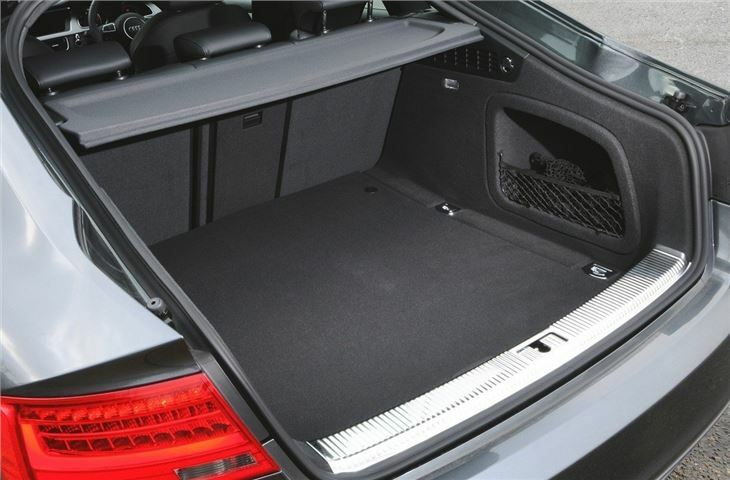 Despite the name the A5 Sportback is actually based on the same platform as the A4 and boasts similar dimensions, with a cabin that’s large enough for four adults and a 480 litre boot. 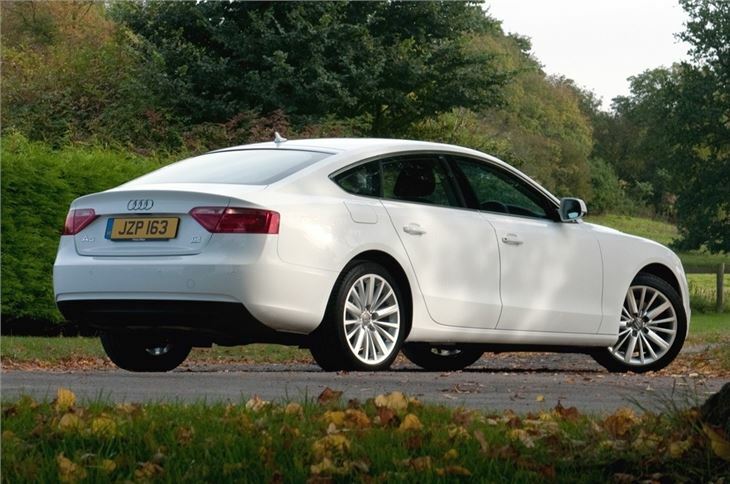 Like all Audi cars, the Sportback is supported by a strong range of engines, which includes two petrols and two diesels. The petrol range starts with the turbocharged 1.8-litre petrol, with 170PS, which returns a claimed 48.7mpg and 136g/km of CO2. 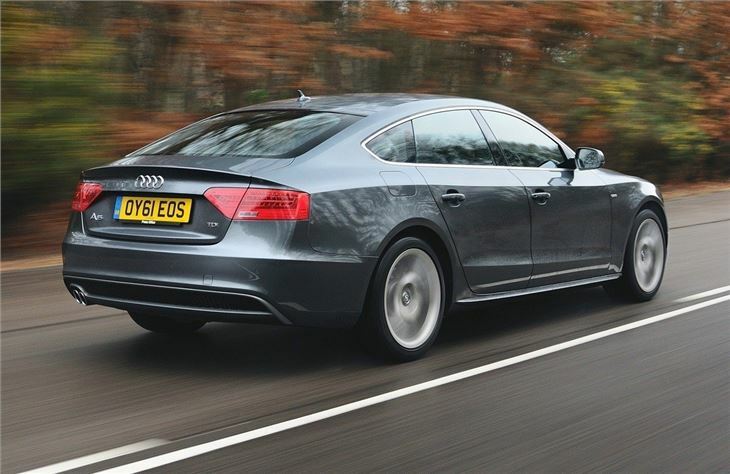 The larger 2.0-litre unit is hooked up to quattro four-wheel drive and packs 225PS, which will propel the A5 Sportback from 0-62mph in 6.6 seconds. The diesel line up is varied, with choice of a 2.0-litre or 3.0-litre V6 units and both engines offer a good balance between power and efficiency, with the former being the most frugal. Indeed, the most efficient diesel in the range is the 2.0 TDI 136PS unit, which returns a claimed 63.2mpg and emits 117g/km of CO2. The 2.0-litre engine is also available with 155PS and 177PS, but if power is your thing, then the 3.0 quattro with 245PS will be for you, although economy and emissions drop to 49.6mpg and 149g/km of CO2. 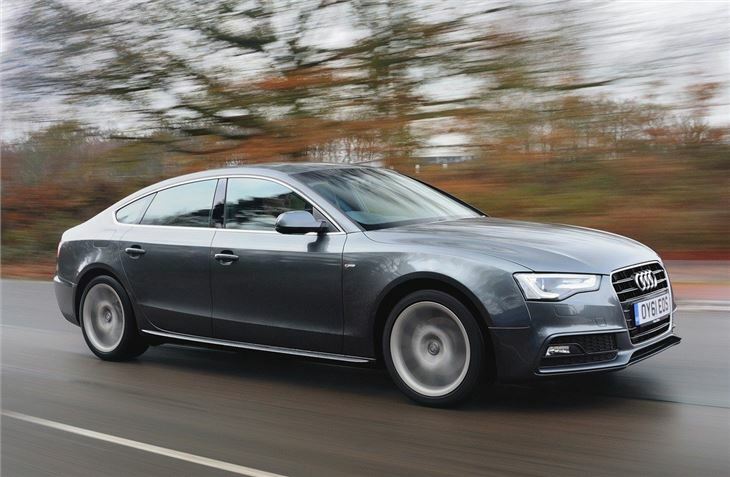 On the road the A5 Sportback is calm and comfortable, but does show its age with vauge handling and a hard ride in S line trim. A six-speed manual gearbox is standard across the range, but again this gearbox is disappointing, with a clunky operation that requires constant work. 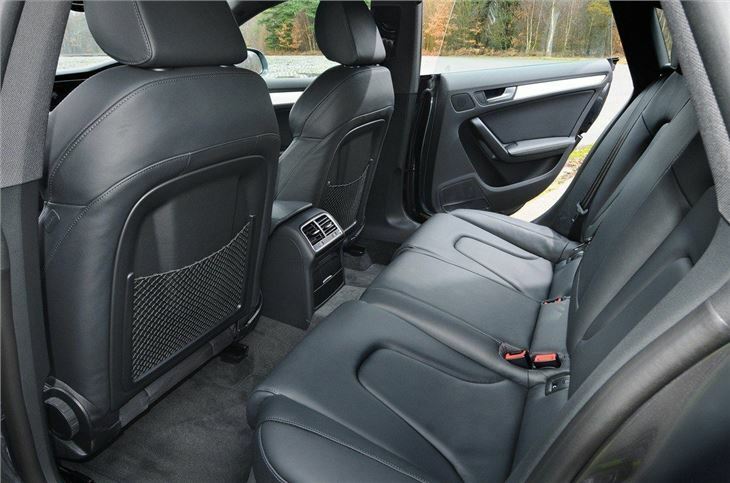 Audi offers five trim levels - standard, SE, SE Technik, S Line and Black Edition - and all get DAB radio, climate control and cruise control as standard. S line trim includes sport suspension and 18-inch wheels, while the range topping Black Edition gets 19-inch wheels, Bang & Olufsen sound system and black polished radiator and matt black fog light surrounds.